Another quick, easy and delicious way to serve up the super-food kale! Kale is one of the few things I can harvest from my garden year-round, so it’s always good to find some new ways to cook it up. 1. Heat a little olive oil in a frying pan. Add the sliced onions and cook until they are browned. 2. Add the garlic, cooking briefly, then add the chopped kale. 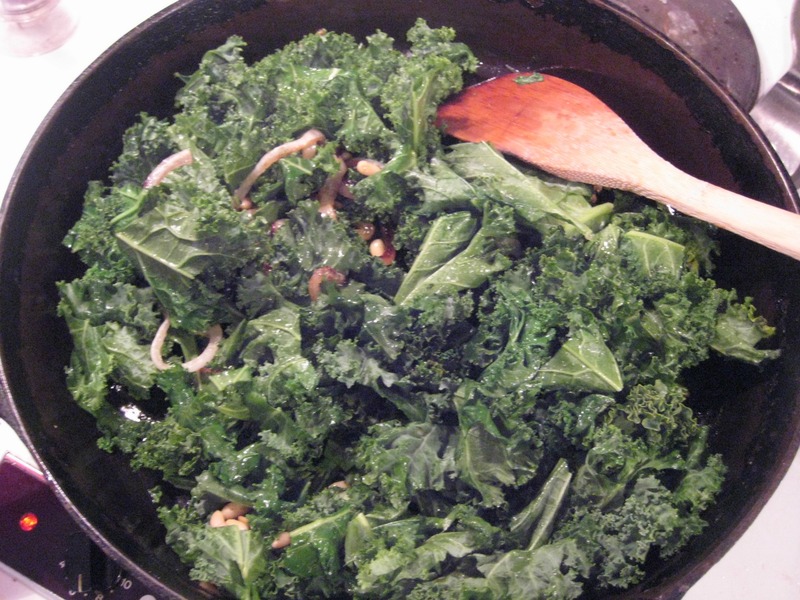 Toss the kale with tongs a few times until it is wilted and the onions and garlic are distributed throughout. 3. Squeeze on a little lemon, a little salt too, and then toss the pine nuts in.